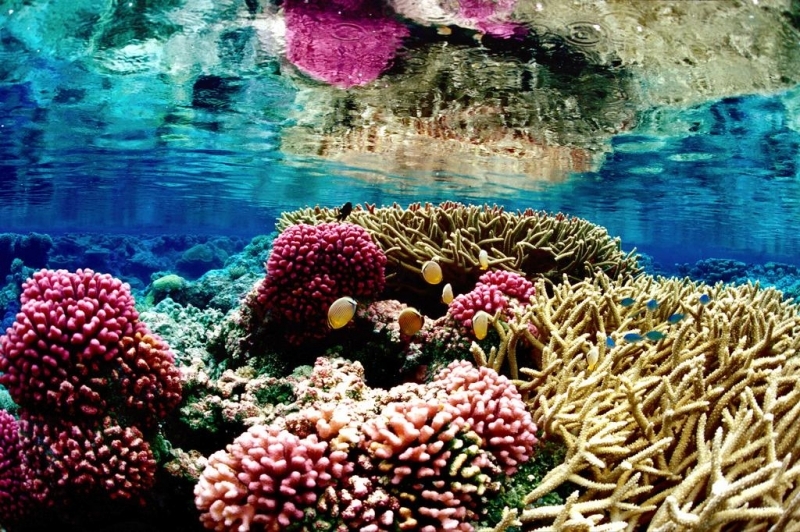 Coral Reefs are one of the world’s most colorful & diverse ecosystems and though they cover only about 1% of the ocean floor an area about the size of France, they have a huge effect on the health of the rest of the world. 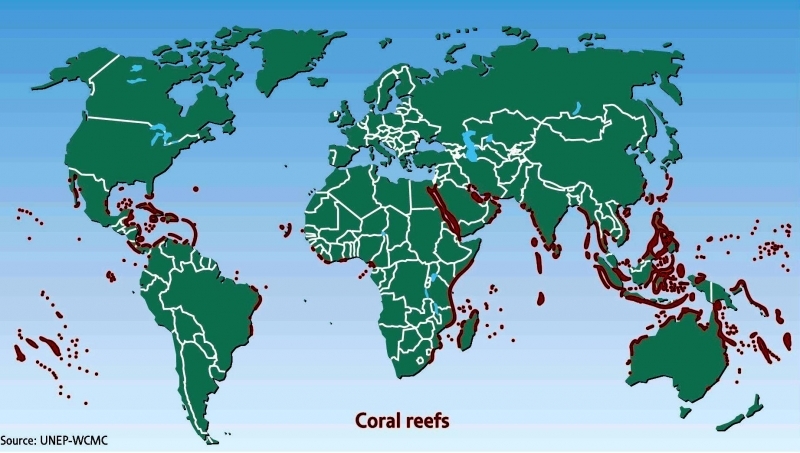 Coral Reefs are found in tropical & subtropical oceans. 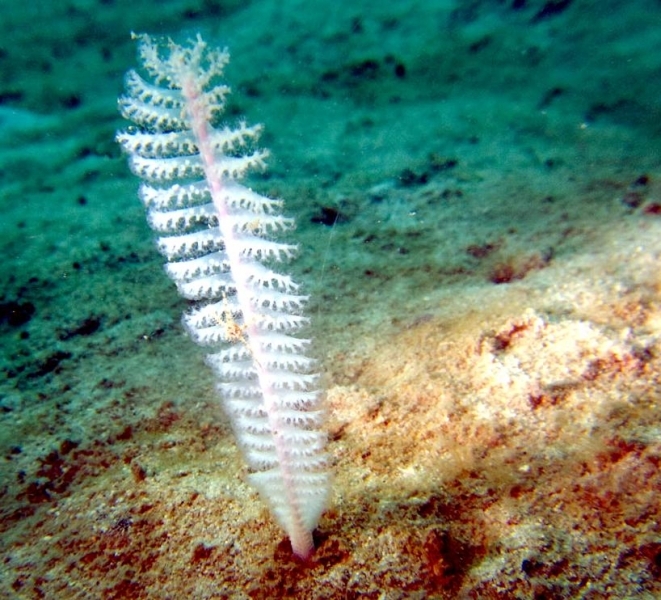 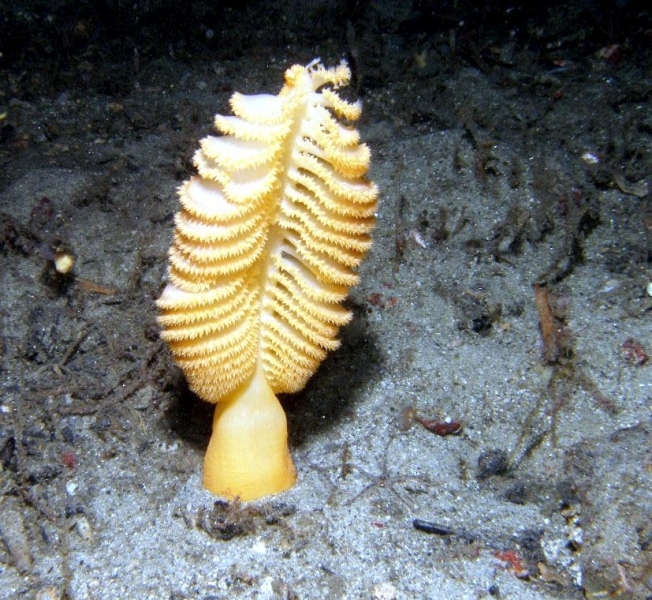 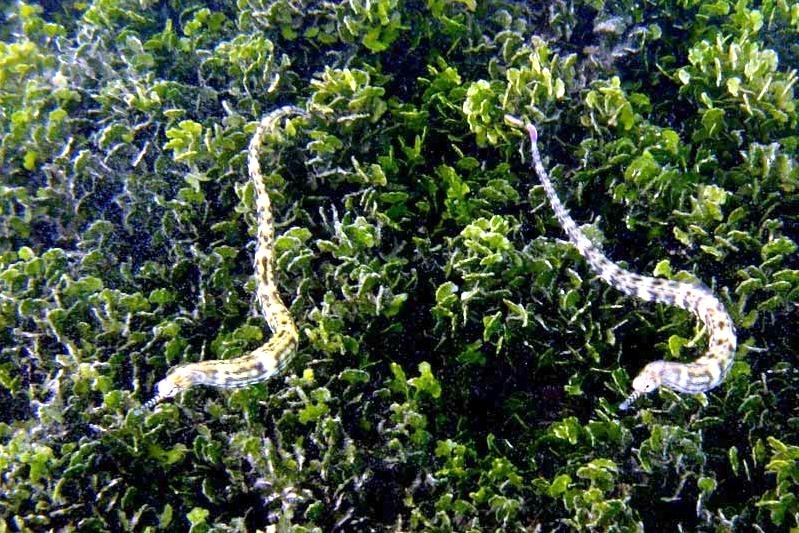 They are usually found in shallow areas at a depth of less than 150 feet. 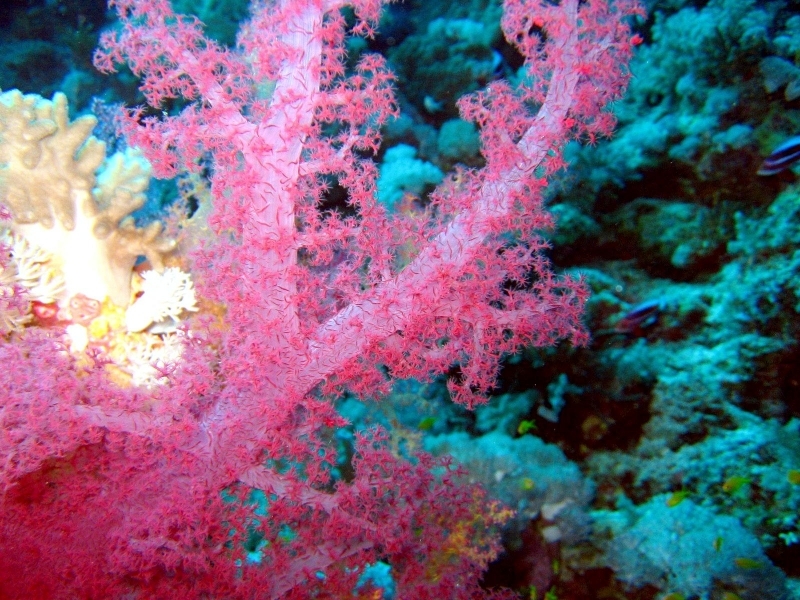 Some Coral Reefs extend even deeper, up to about 450 feet deep. 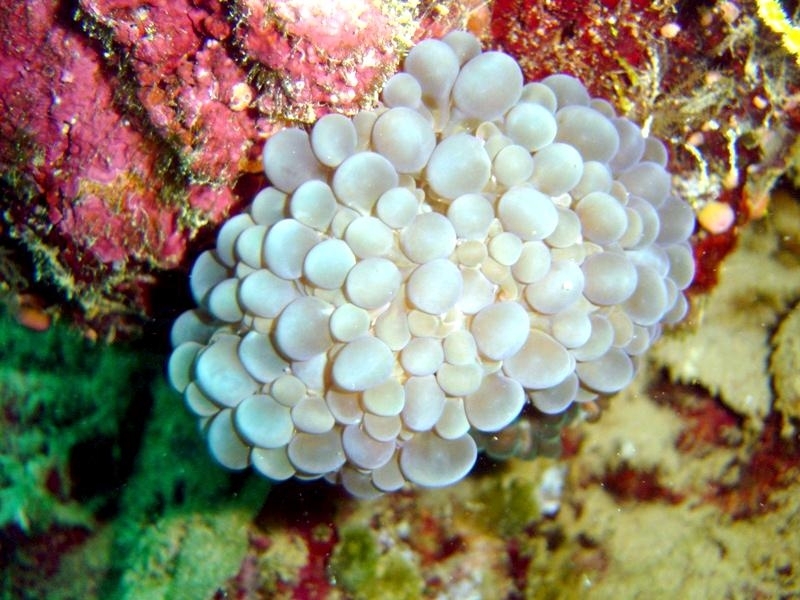 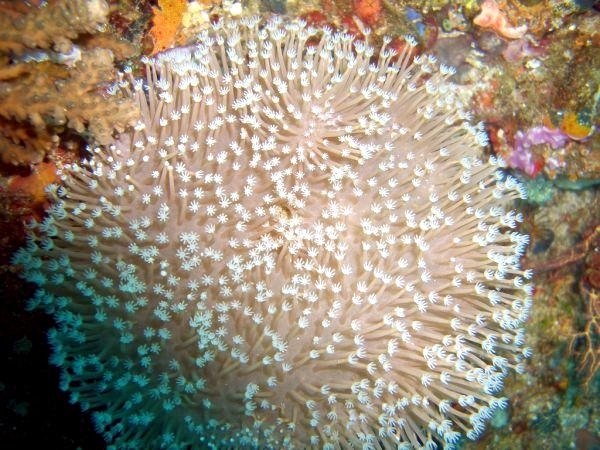 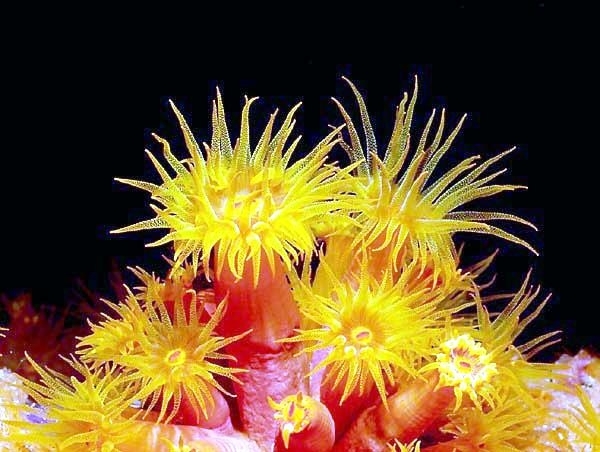 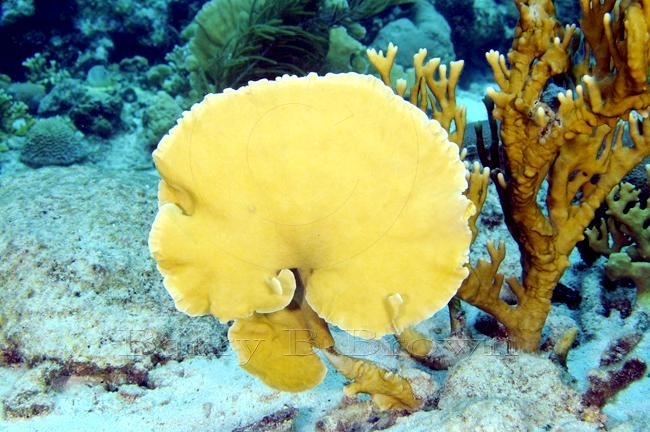 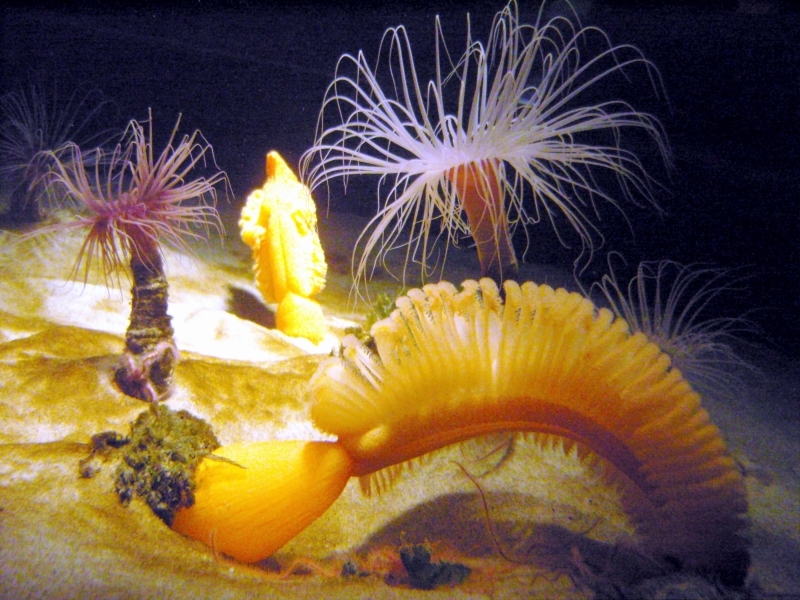 Corals are not plants, they’re actually animals and are relatives of sea jellies & anemones. 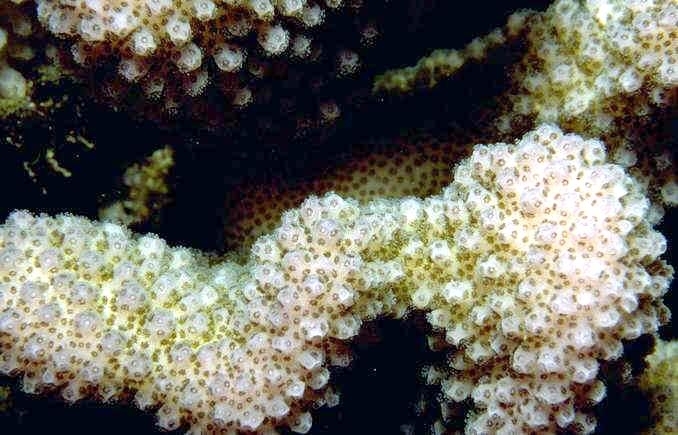 Though Corals are animals, they do rely on photosynthesis to survive but the Coral polyps aren’t doing the actual photosynthesizing. 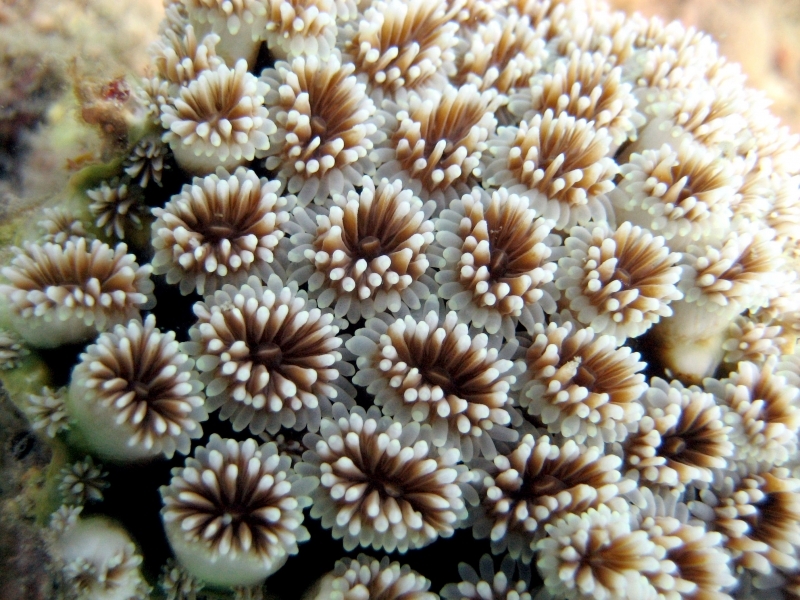 Microscopic algae or zooxanthellae, live within the cells lining the digestive cavity of the polyp. 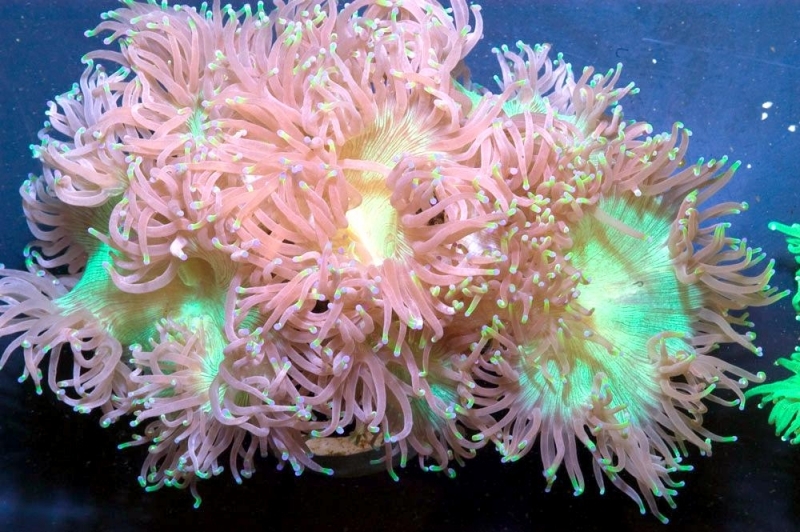 As much as 90% of the energy a polyp needs comes from this symbiotic relationship. 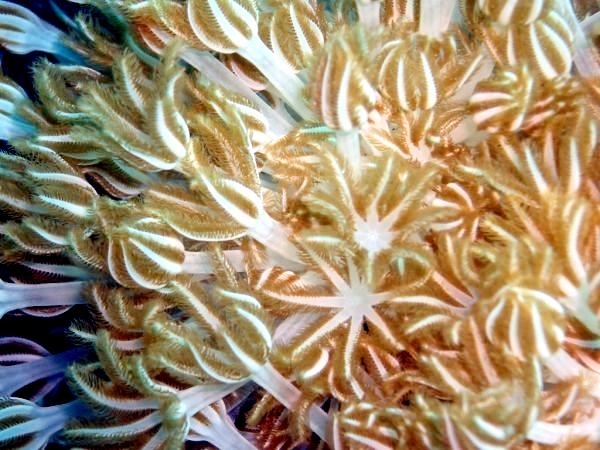 The other 10% comes from hunting the polyp does by extending its tentacles to catch prey. 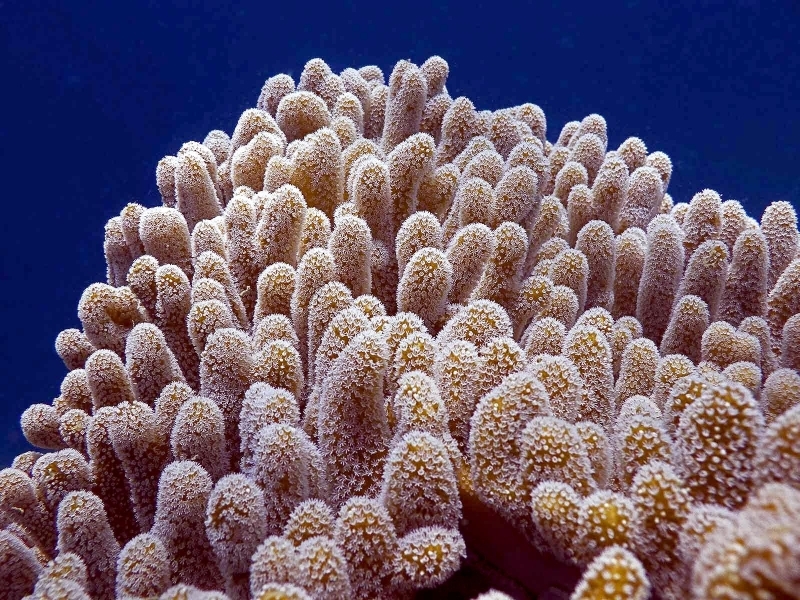 Reefs formed by corals are one of the most bio-diverse marine areas on the planet, housing hundreds and even thousands of species. 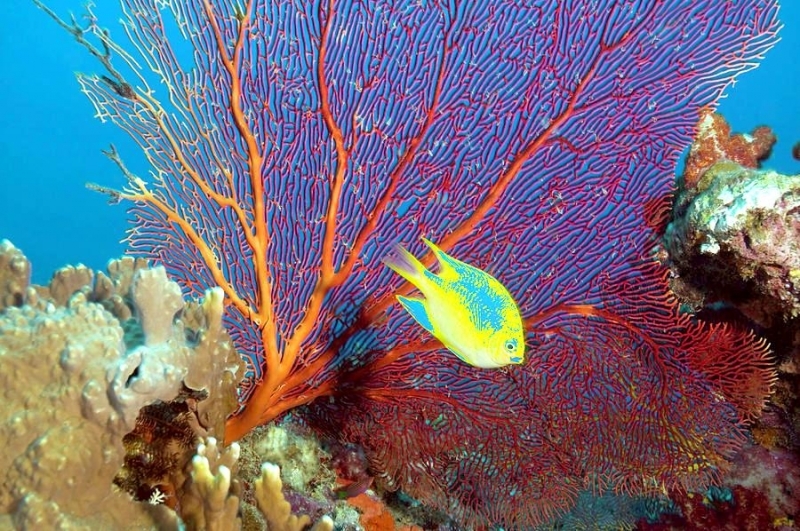 The diversity is due to the fact that reefs are an important location for finding food, shelter, mates and places to reproduce. 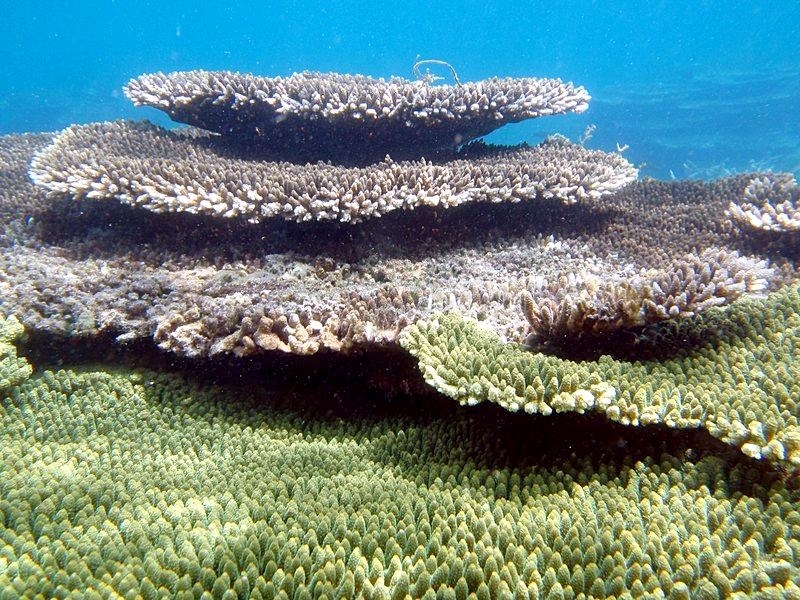 Reefs also act as nurseries for large fish species, keeping them safe until they are large enough to strike out into the deeper ocean. 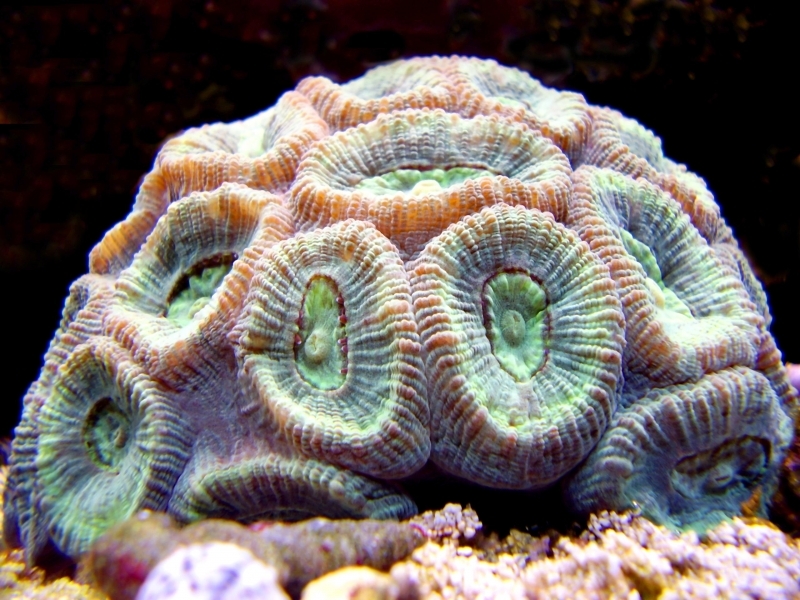 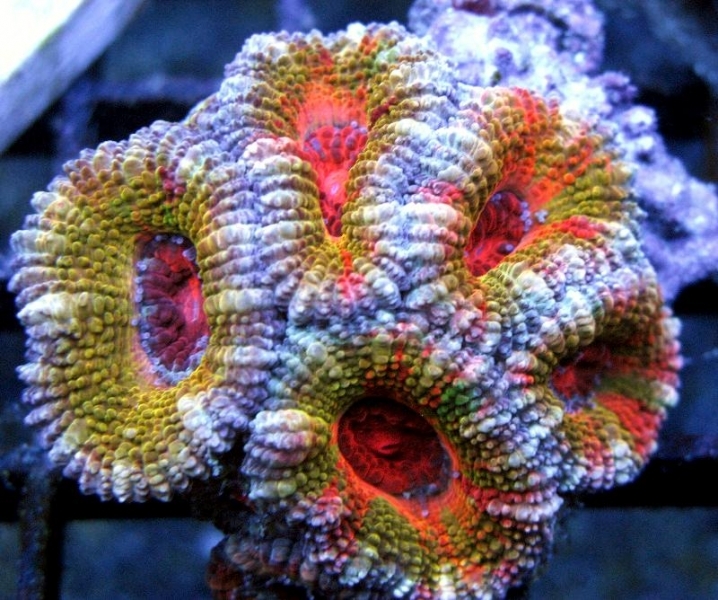 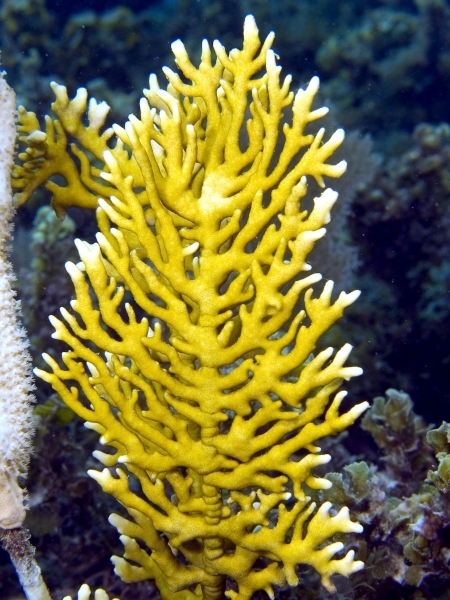 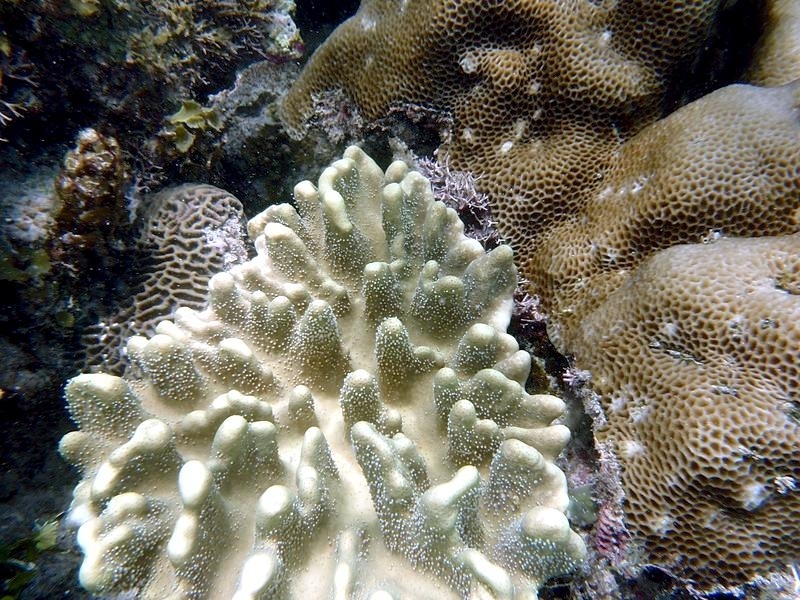 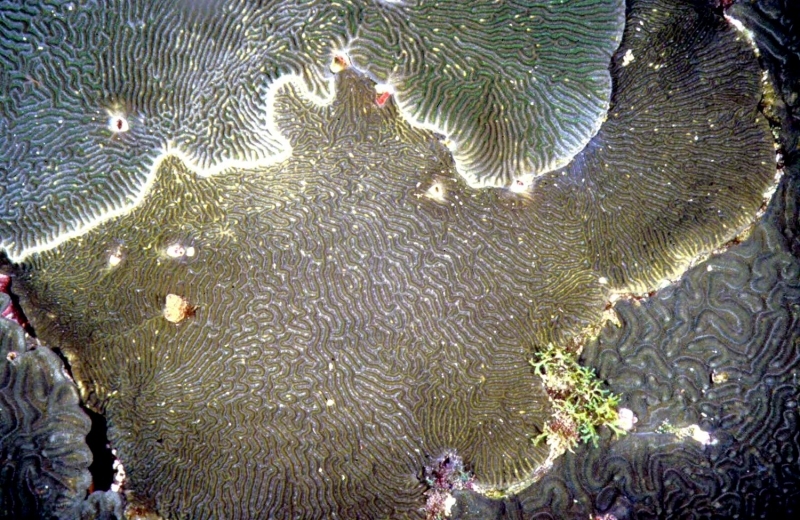 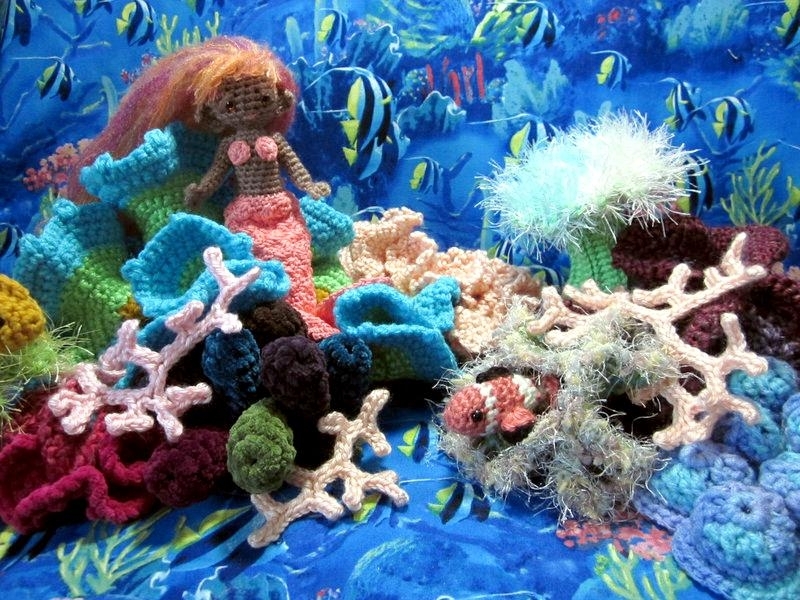 Coral Reefs are important to the development of new medicines. 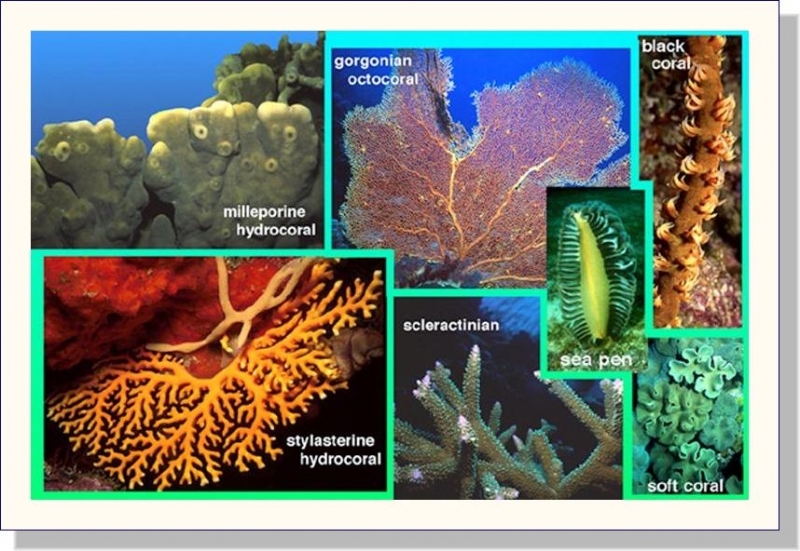 Coral Reef plants & animals are important sources of new medicines being developed to treat cancer, arthritis, human bacterial infections, Alzheimer’s disease, heart disease, viruses and other diseases. 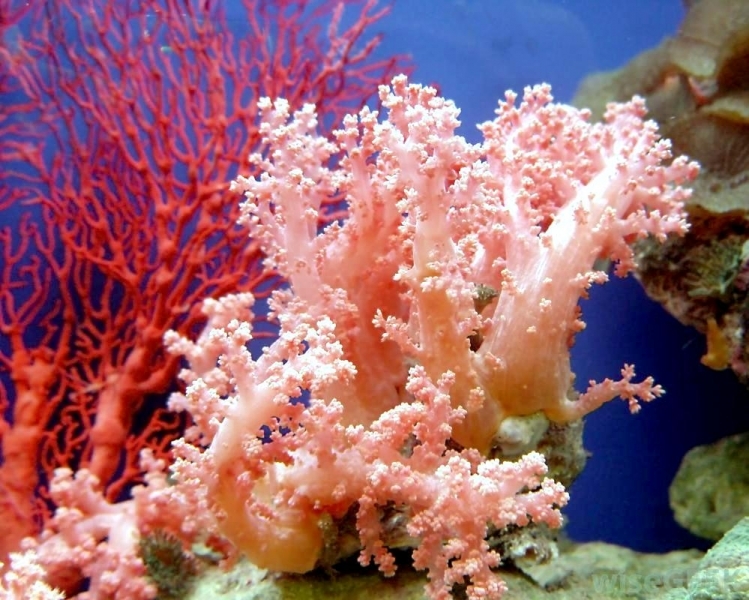 Coral Reefs cover less than 0.2% of our oceans but they contain 25% of the world’s marine fish species! 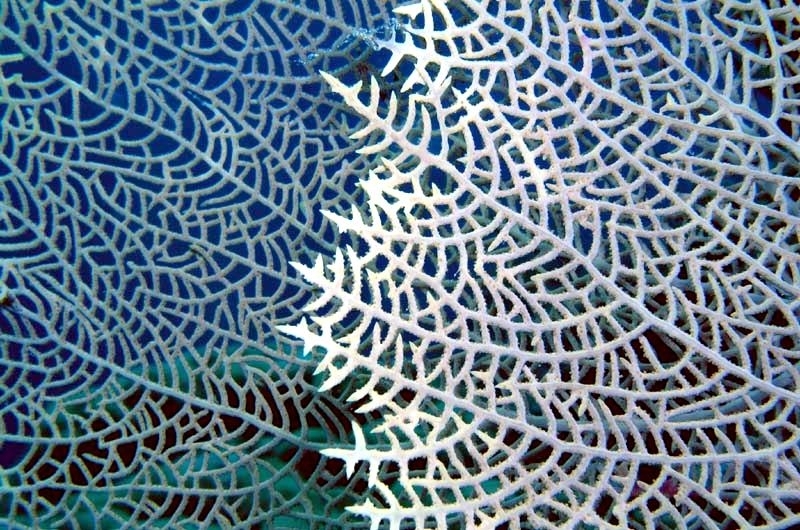 Coral Reefs are second only to rain forests in biodiversity of species. 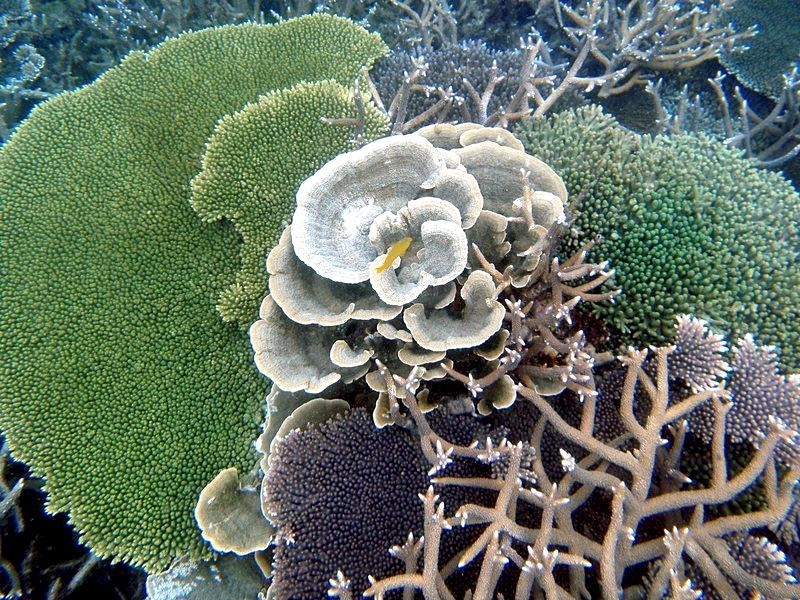 Coral Reefs are so valuable to the fishing & tourism industries as well as protecting shorelines from storm damage. 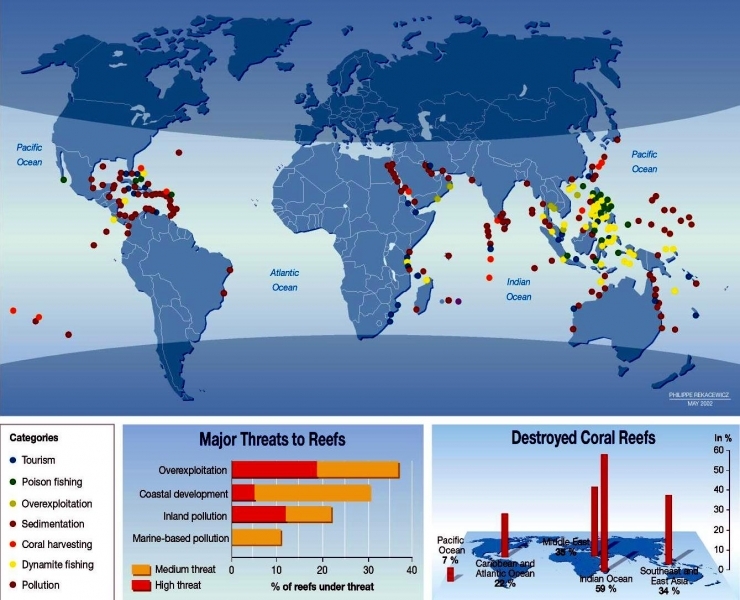 Destroying just 1 kilometer of Coral Reef means the loss of between $137,000 to $1,200,000 over a 25-year period and yet, nearly 60% of the world’s Coral Reefs are threatened by human activity.